The item is currently not in stock. We will notify you when the item is available for shipping. If the item will not be available for some time, we will notify you of that so you can cancel your order if you desire. oversized shipping Products that are either heavier or larger than regular items are deemed oversized. This includes heavy items such as some tripods, inkjet paper, dye-sub paper, some lighting kits and printers to name a few. Canada Post charges weight and dimensional surcharges that apply to items in excess of their guidelines. 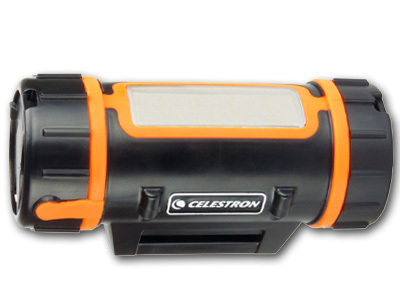 Employing a more environmentally-friendly battery chemistry than previous iterations Celestron's PowerTank Lithium 86.4 Wh Power Supply gives you the power required to run your motorised Celestron mount with the added capability of charging small electronics such as smartphones, tablets, and cameras. 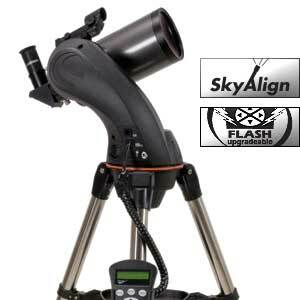 An integrated white LED flashlight, with two output settings, gives you the illumination you need to get to your observation point and set, and a separate red LED light allows you to perform tasks like swapping eyepieces or attaching filters without affecting your night-adjusted vision. The PowerTank has a compact form factor at 7.5 x 3" and weighs in at just 2.25 pounds. Two straps are included so you can either hang it or attach it to the tripod, but if you want to leave it on the ground it has an IP65-rating making it dustproof and water-resistant.